This refereed volume arose from the editors' recognition that physical scientists, engineers, and applied mathematicians are developing, in parallel, solutions to problems of parallelization. The cross-disciplinary field of scientific computation is bringing about better communication between heterogeneous computational groups, as they face this common challenge. This volume is one attempt to provide cross-disciplinary communication. Problem decomposition and the use of domain-based parallelism in computational science and engineering was the subject addressed at a workshop held at the University of Minnesota Supercomputer Institute in April 1994. The authors were subsequently able to address the relationships between their individual applications and independently developed approaches. 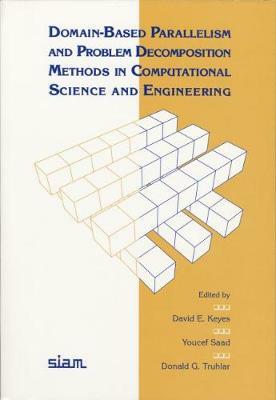 This book is written for an interdisciplinary audience and concentrates on transferable algorithmic techniques, rather than the scientific results themselves. Cross-disciplinary editing was employed to identify jargon that needed further explanation and to ensure provision of a brief scientific background for each chapter at a tutorial level so that the physical significance of the variables is clear and correspondences between fields are visible.